Brabantse Pijl was my first Belgian race of the year, and I don’t know when I’ll be back, so I tried to enjoy the quick two-night trip and demanding race day. There’s nothing like racing in Belgium; the fans here are passionate like no other. I probably signed more “Brent Bookwalter” rider cards today than my entire season combined. It’s always a trip down memory lane as many fans will have 5 to 10 years worth of rider cards, some of which are homemade! The start was somber. The tribute and remembrance for Michael Goolaerts and his untimely and tragic passing Sunday was a clear reminder of how fragile life is. For me, it showed how much we all need to embrace every day. I admire the courage his teammates had for riding for him today. When it came to the race, the real notable part was the 3.5 laps on a 23-kilometer technical and tough circuit. A real Belgian sampler of cobbles, small roads, fast big roads and plenty of punchy climbs and directional changes! The climbs were just short enough that the bunch stayed ahead, but there were also plenty of guys just hanging on that never saw the front. 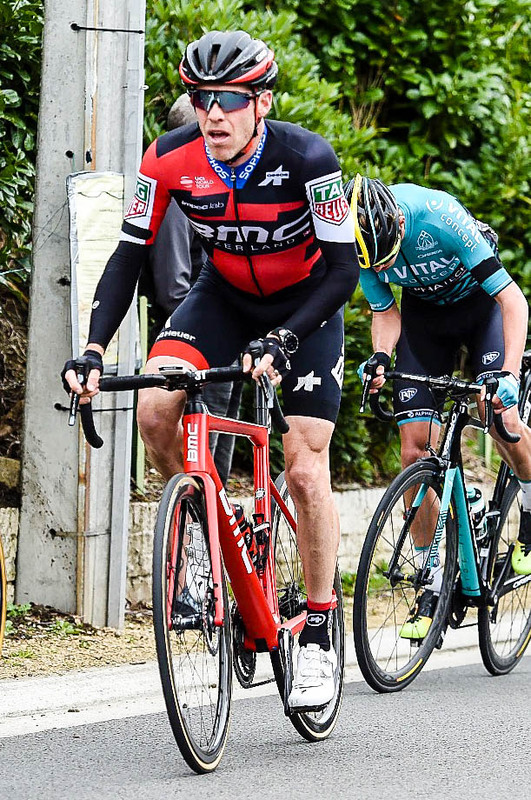 I was thankful and happy to be up in the mix, supporting BMC Racing Team's Belgian Dylan Teuns, who is in fine form heading into his big goal week of the season. From a personal standpoint, it’s been exciting to see Dylan grow as a rider and leader over the past couple years. I was happy to give everything I had for him by covering attacks on the first couple laps and then going “all in” on the final lap when a dangerous group of eight riders slipped away. Dylan fought for a strong seventh place, and I think that undersells how great he’s currently riding. After today’s race, I have to admit that I’m a little bummed to be missing the Ardennes next week, but I’m looking forward to building for my next objectives--Tour of Yorkshire and Amgen Tour of California. I know this is long but also of note! Today was my first race on disc brakes and I would say the bike performed well. It’s an interesting adjustment assimilating to a new brake system after years and years on rim brakes in a race scenario. It will take some time, but they definitely inspired confidence in the corners. The only real change we had to make was the plan if I needed a wheel change. Instead, we would swap a bike if it were an intense moment. Otherwise, the plan was to swap the wheel as our mechanics continue getting dialed and making it faster. 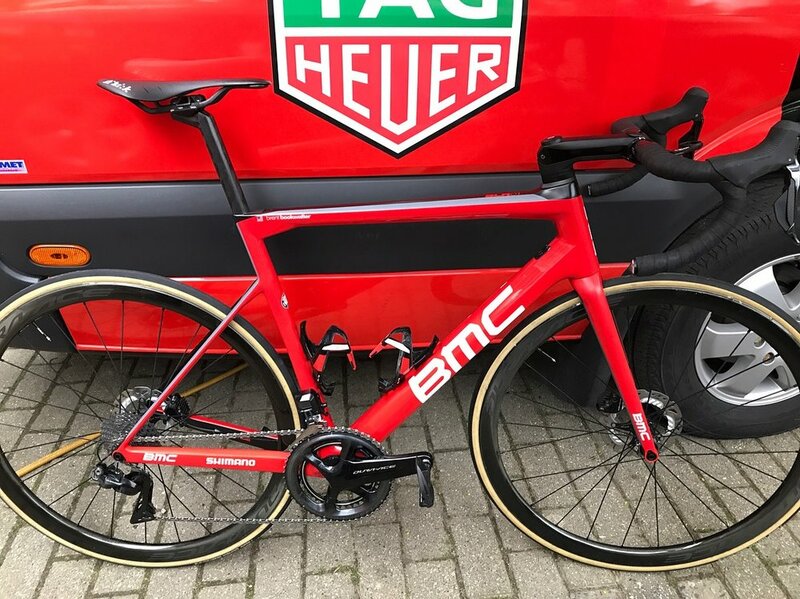 I think we will see more and more disc brakes in the peloton, but our rim brake bikes are also top notch. Neither of these scenarios leaves a whole lot to be desired!